Rolex Service or Independent Service? If you’ve been following the BeckerTime blog recently, you’ve gotten the message that the Rolex Service Center handles your watch a bit differently than other service centers. So this begs the question, should you get your watch serviced by Rolex or an independent watchmaker? What are the ramifications of each? As we’ve discussed before, when you send your watch to Rolex, they’re going to upgrade your watch as they see fit, probably polish it, and generally bring it up to current standard. That’s not all bad. 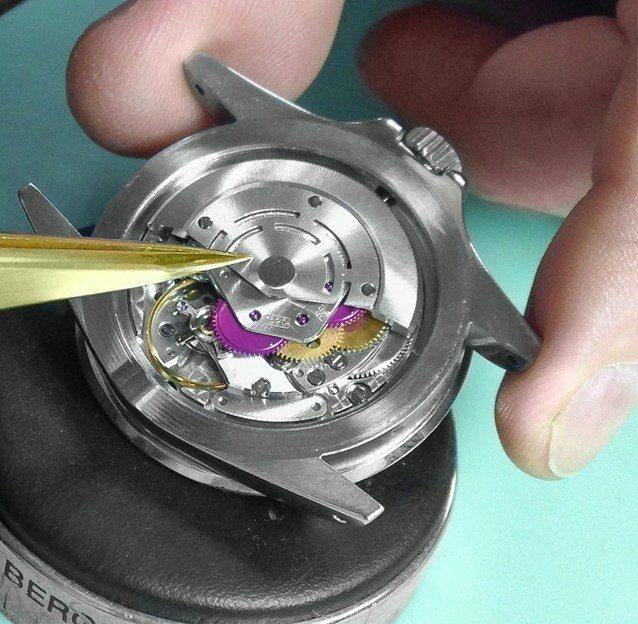 You’re pretty much guaranteed a highly functioning timepiece, serviced to some of the most stringent standards in the world. It’s just that Rolex does this whether you want them to or not. Certainly they did this with the COMEX SeaDwellers. Some of those watches no longer even have the original movements. And it’s a wonder there are any Bakelite bezels left in the world, as Rolex routinely replaced them with aluminum during servicing. So what do you do if you’ve got a vintage piece and only want the movement cleaned so it’s running in best possible form? Even a modern watch that you’d just as soon stayed as original as possible? You put that patina there, you’d like it to stay, no polishing allowed. In that case, it’s in your best interest to take it to a qualified independent service center. They’ll accept your instructions to not polish, not upgrade, not do anything you feel would compromise the original nature of the watch. It’s all a matter of what your goals and desires are for your own timepiece.